Mother’s Day is one of those wonderful days when you get to show your mum just how much you love her and thank her for being the best mum in the world. And now you can do just that with Tasty Bingo’s latest promotion; £100 Tea with Mum. Sign up for this promotion and you have the opportunity to win a set of personalized mugs for the whole family and a gorgeous luxury tea gift set all for the price of a 2p ticket! The £100 Tea with Mum game takes place at 4pm on Sunday, 3rd April and you can pre-buy your tickets right away. You have the choice of buying one ticket or many cards and it’s entirely up to you. 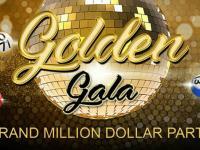 Naturally, your chances of winning increase with every ticket you purchase and with cards being priced at a mere 2p, why not go for gold and buy a few extra cards? The £100 Tea with Mum game is a 75 ball bingo game and the first player to bingo on the Love pattern gets to win a set of mugs with their name on one side and the Tasty logo on the other and a luxury tea gift set. The lucky winner of the Mother’s Day special game at the UK bingo site gets to choose up to six names which will be printed on six mugs so you get a totally personalized set of mugs! The Mother’s Day bingo game is open to all funded players at Tasty Bingo so sign up today and get a 200% cash match bonus on your first deposit at the UK bingo site. 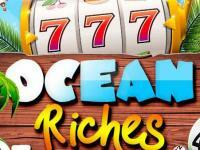 You can deposit as little as £5 up to a maximum of £100 though we recommend you deposit as much as you can and give yourself all that extra cash to play your favourite bingo games with and a £100 deposit will give you a total of £300 to play with. 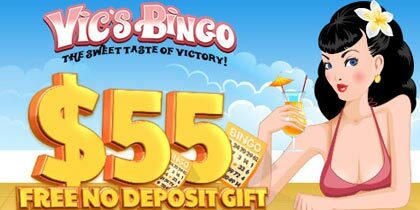 Should you deposit a minimum of £30 at Tasty Bingo, you have a fabulous treat waiting for you. Choose from five exciting prizes including a bottle of red wine, the Las Estrellas Merlot 2009, white wine – Las Estrellas Sauvignon Blanc 2009, rose wine – Marques de Almonacid Rosado 2008, a box of delicious hand made Belgian chocolates in a Tasty Bingo tin or £10 cash deposited into your Tasty Bingo account. 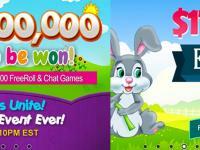 Tasty Bingo offers their players the best of bingo games and instant games. 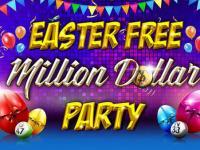 Bingo games include 75 ball as well as 90 ball games and their progressive variations. In keeping with the food theme, the progressive jackpots are named Banana Split and Choc Sundae. The former is the 75 ball progressive which is won when you cover the banana split pattern in 28 calls while the Choc Sundae is the 90 ball progressive won when a card is covered in 39 calls or less. The Choc Sundae is available in all 90 ball bingo games. 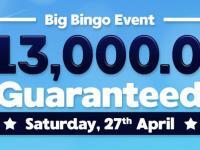 Sign up at the UK bingo room today and do your bit for your mum with the £100 Tea with Mum game on 3rd April at 4pm.